With the aim of uplifting the poor and uneducated people surrounding our Church. LSSL started “St.Martins Tailoring & craft centre”. On 15-10-1997 centre was inaugurated by the then D.C. Shri B.H Anil Kumar. 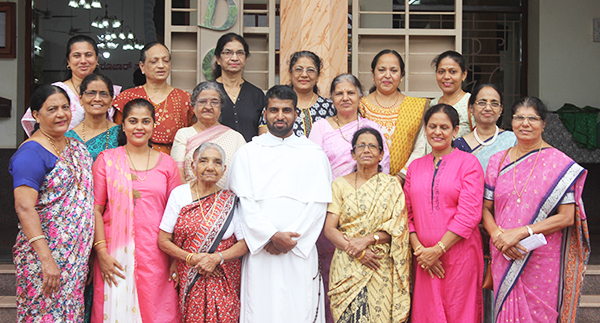 President &chairman of LSSL started the 9th branch at Ashoknagar on 22-07-1997, With 11 members Mrs. Noreen Pinto was elected as president, Mrs. Juliana D’ souza as secretary under the guidance of Fr. Peter Mendonca as spiritual director. We now have 18 members. 35 students were taught to read & write basic class as per the government books’ Sarva Shiskshana Abiyana’. Educate women to earn their daily bread, teach them their fundamental rights, health awareness. Visit & entertain women at old age homes, children at orphanage and provide them cloths food & medicine. Visit sick, lonely, accident people at their homes &hospital. Thus spread “Word of God” by our deeds with other communities.